PepsiCo is a world leader in convenient snacks, foods and beverages - home to some of the best loved and iconic brands around the world. Our employees are at the heart of PepsiCo. Through the Company's commitment to Talent Sustainability, we continue to support the development of employees. Possibilities, our employment brand, reinforces our commitment to our people; enabling them to reach new heights in their careers and becoming truly world class talents. 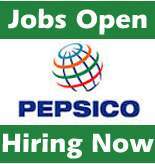 PepsiCo is universally recognized as one of the best companies in the world for leadership development. Manage Marketing Director's and team's business travel arrangements such as flight and hotel bookings, ticket issuance and airport shuttles. Manage the yearly vacation calendar for the team. Prepare and manage the T&E for Marketing Director and team, submit to the finance and track reimbursement. Work in tandem with the Brand team for Goods Receipts for invoices. Manage marketing supplier invoices, approvals, submitting to finance and tracking payments. Arranging for stationary for the department. Work with the Brand team every quarter for compilation and completion of Internal Auditing for Marketing controls. In Charge of sending and receiving of couriers, product samples etc., for the department. Monthly tracking of A&M budget across all brands. Good Computer skills on MS-Word, Excel, Outlook and Internet. Solid powerpoint skills is a must with graphic design background as preference. Dynamic, Organized and display analytical skills.